No election leaflet worth its salt will come without its very own bar chart to help voters make up their minds. 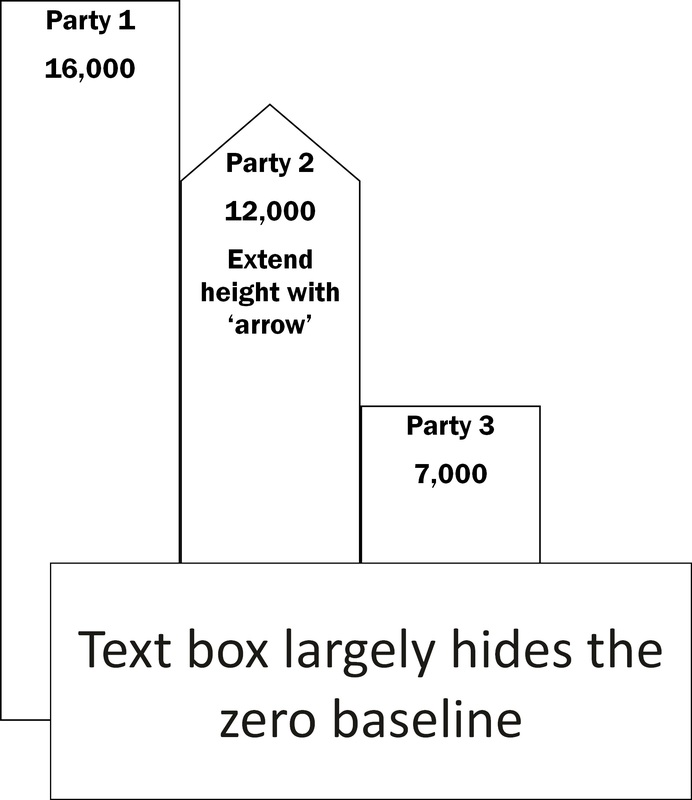 But these are no ordinary bar charts generated by statistical software! We use the first-past-the-post system to elect our Members of Parliament in Westminster. The candidate with the highest number of votes wins – regardless of whether or not that is more or less than half of those voting. That encourages tactical voting. Voters decide not to back their preferred candidate but vote for a candidate from the party most likely to beat its main challenger. But which party is best placed to do that? This is where the political ‘bar chart’ comes in. 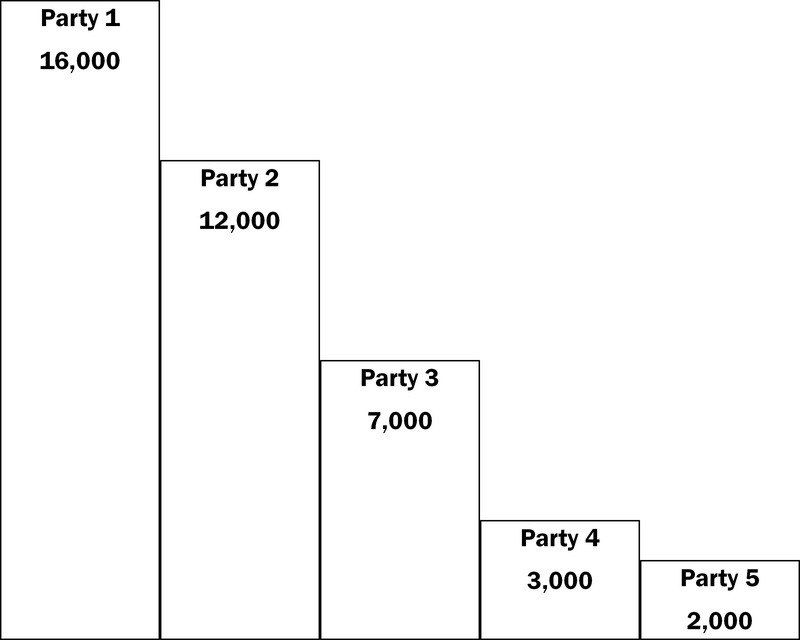 Parties use them to show that they – and only they – can beat another party. Of course, it may only be a matter of their opinion. 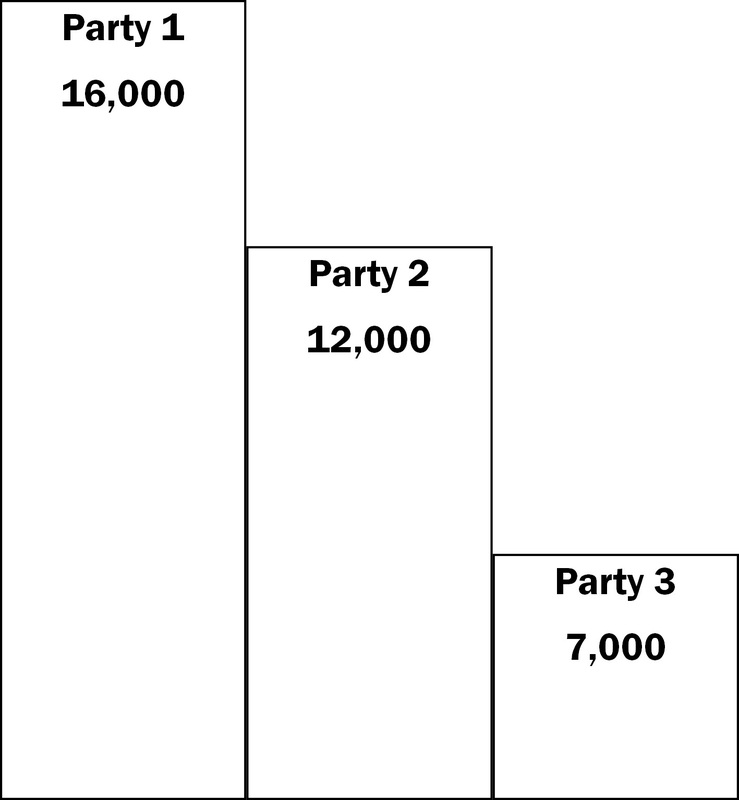 Let’s have a look at the most common situation – Party 2 came second last time to Party 1. It wants to persuade supporters of some or all of Parties 3, 4 and 5 to back Party 2 in order to beat Party 1. 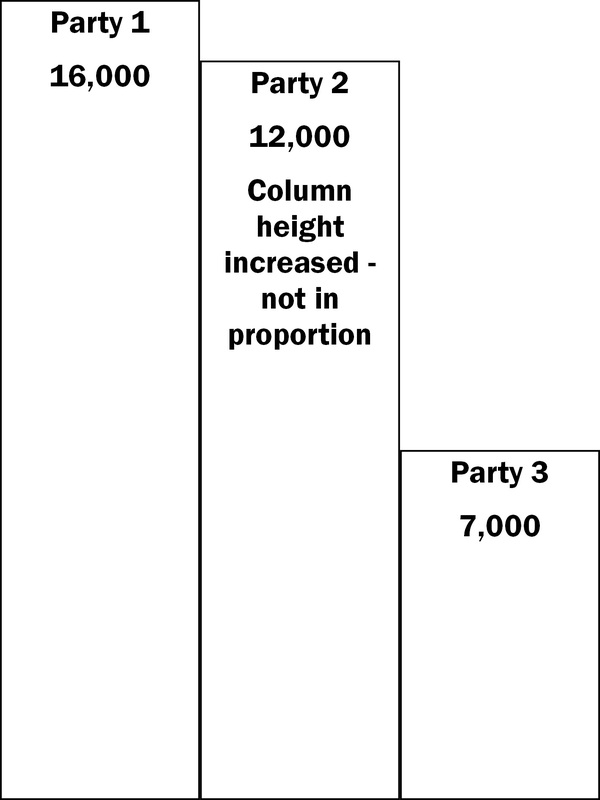 Quite often the bar chart will only have the top three parties. Next in the series – what parties use when the votes at the last election are ‘unhelpful’. 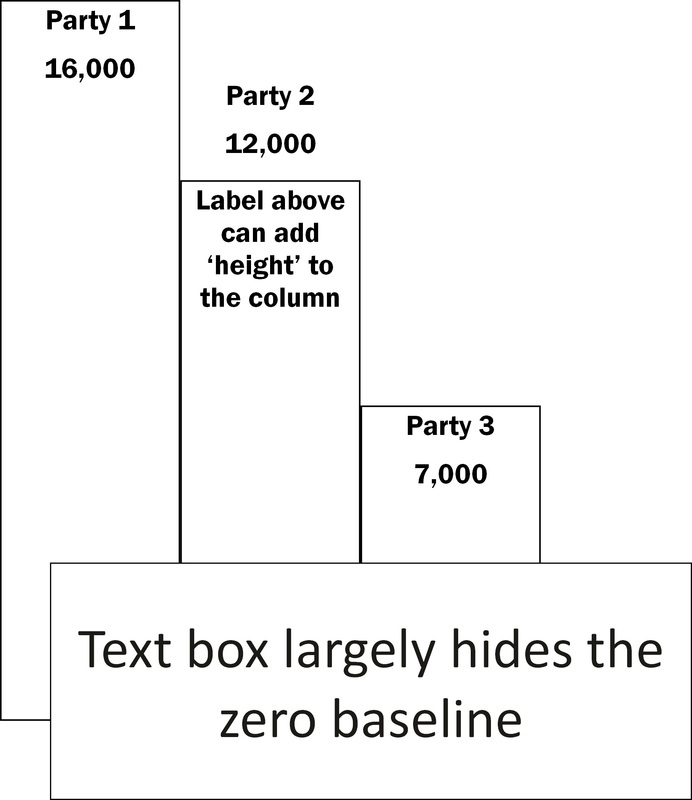 If you’ve seen a bar chart that is more than a little creative, please get in touch. NB: none of the above should be seen as endorsing or criticising any particular technique. Previous Previous post: The not-quite-debate – who won the fact check battle?